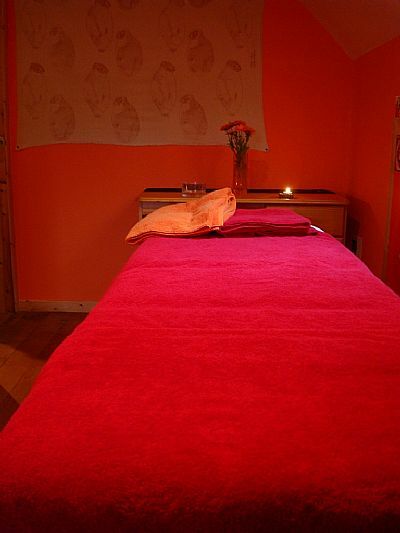 Meg offers Swedish massage from her therapy room in Torrin and from The Health Oasis in Broadford. In Torrin you can enjoy your treatment in the peace and tranquil settings of Loch Slapin, and surrounding Red and Black Cuillin mountains. Torrin is 7 miles from Broadford, follow the road to Elgol. The therapy room is at A'Chuibheall, first house on the right once you got to the village of Torrin. The Health Oasis is more centrally loacted in the heart of Broadford village, above Whittets Architectures, between the Post Office and Skye candles. Some benefits of having a massage!